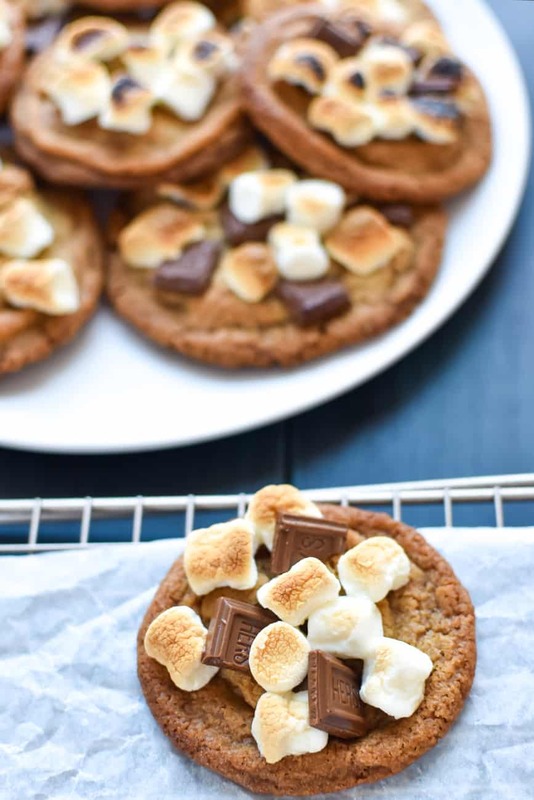 I'm so excited to share my brand new recipe for s'mores brown butter panbanging cookies. I know, it's a mouthful of a cookie name but you're going to want every single part of them. The s'mores. The brown butter. The panbanging. Yes panbanging. If you haven't heard of it, you're going to know all about panbanging by the time you're done reading this! The very best gingerbread cookie recipe. My favorite recipe for snickerdoodles. But first, there's a reason why I'm sharing the best cookie recipe I've ever made today. That reason is raising money for a very important cause. While I didn't participate last year, this is the second year for a special Valentine's event. We want to make a difference in the fight against pediatric cancer. Did you know that cancer is the #1 cause of death of children by disease in the United states? There are 40,000 U.S. children actively battling cancer right now. With less than 4% of the National Cancer Institute's budget going to all childhood cancer combined, I knew it was important to get involved. Help us make a difference by donating to Cookies for Kids' Cancer! Our goal is to raise at least $3000, because Dixie Crystals, Mediavine and OXO have each pledged to match our donations raised through this campaign up to $3000! Please consider donating to Cookies for Kids' Cancer, too! I know, we have a lot to talk about when it comes to this recipe. Let me break it down for you. I love brown butter in cookies. I wanted to try making panbanging cookies. 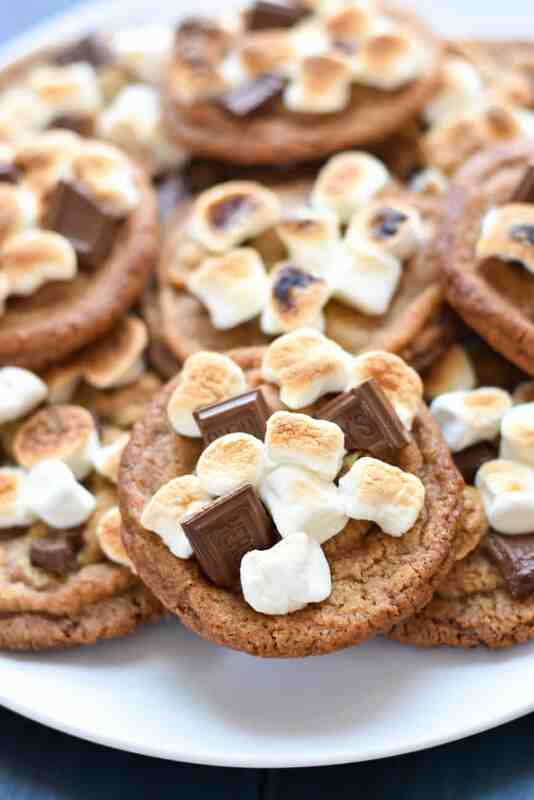 I also wanted to make s'mores cookies, because they just sounded so good. So this recipe is inspired by a several different cookies. 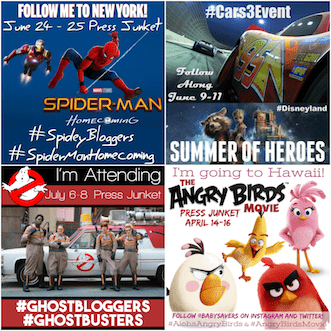 You'll find links to a few as I walk you through the important parts. There's no question that real butter makes for amazing cookies. It's just the way cookies work. 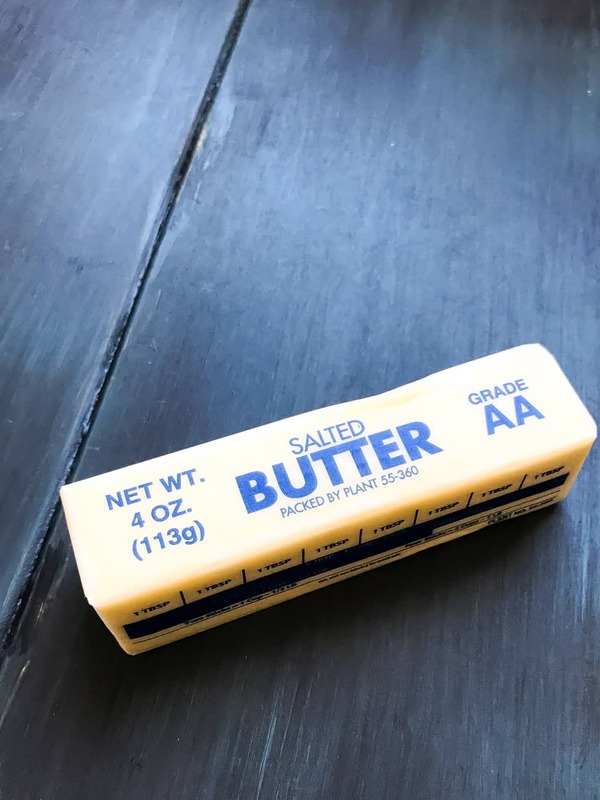 But if you already know about this and love to use real butter in your cookie recipes, brown butter will take them to the next level! Put two sticks of butter in a skillet over medium heat. Watch it as it melts and stir it as the butter starts to foam and simmer. Keep an eye on it and watch for brown bits to form while you're stirring. Remove the pan from the heat and keep stirring, the butter will keep cooking until it's all a toasty brown color. When you brown butter you evaporate some of the moisture, leaving a more concentrated solid. Brown butter is also has a richer, nuttier flavor than regular butter, which really changes your cookie recipe for the better! First, S'mores are delicious. I love all sorts of s'mores. 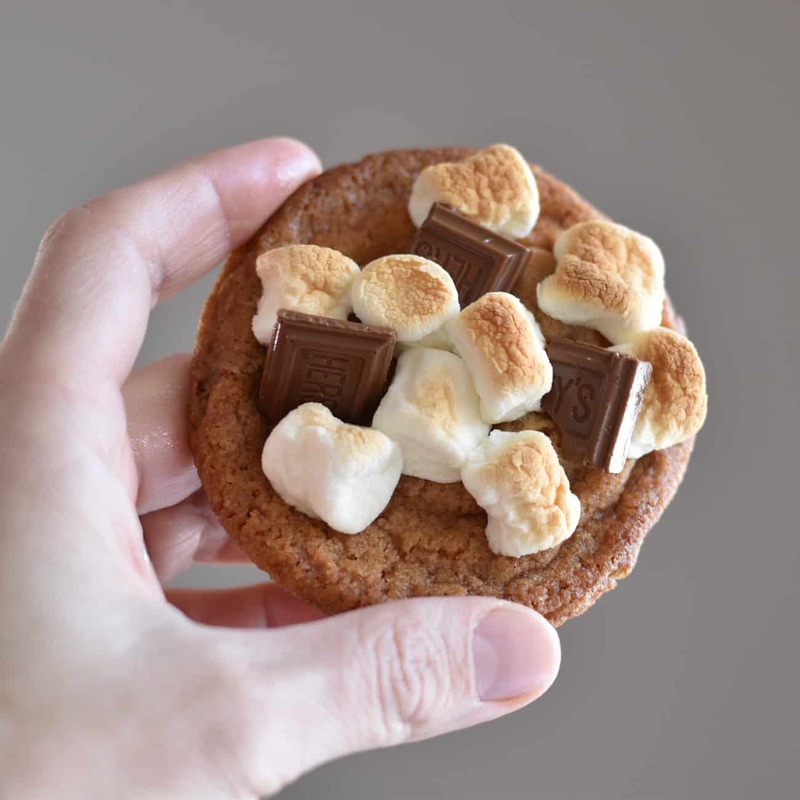 That combination of graham crackers, marshmallows and chocolate can't be beat! 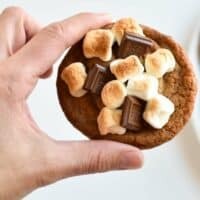 I've found a few recipes for s'mores cookies but they all required pushing the marshmallows and graham crackers into the cookie after it was baked. I had a hunch that baking the graham cracker pieces into the cookie dough would be better–I was so right. You might notice that there's a good amount of butter in this recipe for brown butter panbanging cookies. It's necessary for the cookies to spread and get wrinkled with the panbanging method. But some people commented that the original recipe for panbanging cookies resulted in greasy cookies. The graham crackers seem to absorb some of that brown butter as the dough bakes. 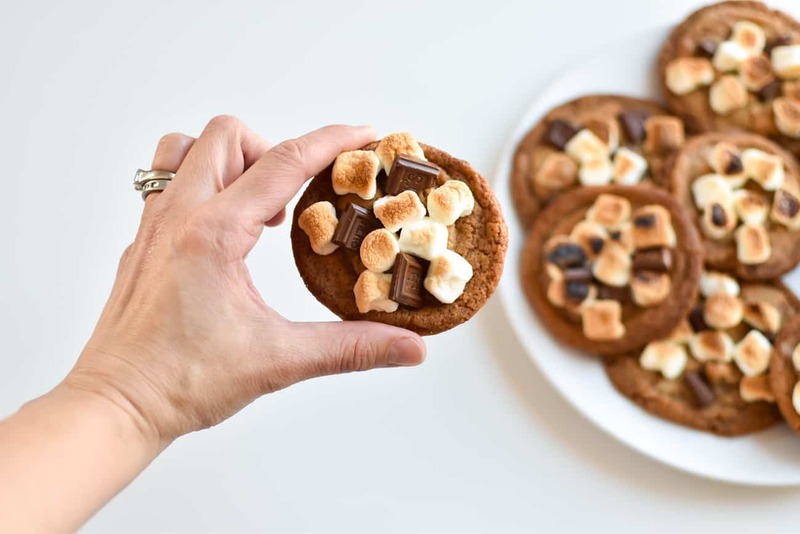 The heat of the oven bakes it all together and the graham crackers become crunchy – almost like toffee – within the cookie. It's more delicious than I ever expected! I'm sure this word, panbanging, is what most of you are curious about. What is panbanging and how does it relate to cookies? Panbanging is the method of opening the oven door while cookies are baking to lift up the pan and bang it down on the oven rack. Several times. Then doing it again every minute or two until the cookies are done baking. The method comes from The Vanilla Bean Baking Book. Lift the side of the baking sheet up about 4 inches and gently let it drop down against the oven rack, so the edges of the cookies set and the inside falls back down (this will feel wrong, but trust me). After the cookies puff up again in 2 minutes, repeat lifting and dropping the pan. Repeat a few more times to create ridges around the edge of the cookie. Make your brown butter. Put two sticks of butter in a skillet over medium heat. Keep an eye on it as it foams and bubbles. It will start to change color within 3-6 minutes. Remove from heat as soon as it starts to change color. It will continue to cook. Chill your brown butter. Put in the freezer for about 10 minutes or in the fridge for 20 minutes. Put your chilled brown butter in a mixing bowl and mix at medium speed until fluffy and creamy (1-2 minutes). Add the granulated sugar and brown sugar and beat at medium-high speed until fluffy and light in color (about 2 minutes). Add egg, vanilla and milk to the butter and sugar mixture at medium-high speed for a few minutes until well blended and smooth. Add the flour, baking soda and salt and gently stir with a wooden spoon or in your stand mixer on low speed. 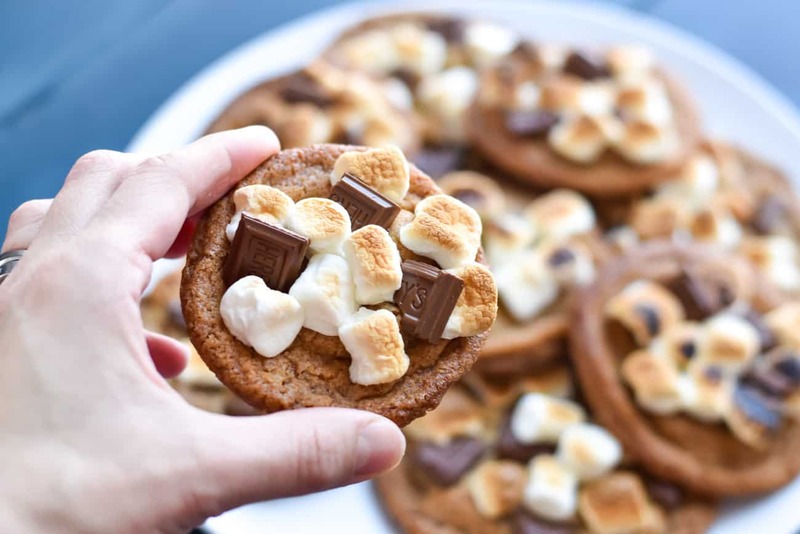 Fold in the milk chocolate and graham cracker pieces. Line at least one sheet pan with foil, dull side up. Form the dough into 2 ounce balls (about 3 tablespoons of dough in each ball) and place 4-6 balls of dough on a cookie sheet, evenly spaced. Transfer the pan to the freezer for 15 minutes. 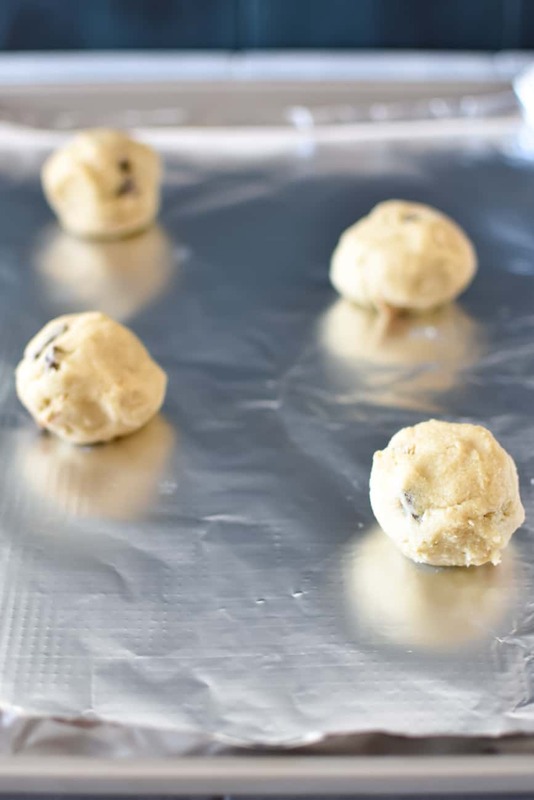 Prepare more pans of dough if you have more cookie sheets. Freeze each for at least 15 minutes before baking. Place the pan with the dough in the oven and bake for 10 minutes. Open the oven door, lift up the side of the baking sheet 4-6 inches and let it drop down against the oven rack. Repeat a few times until the centers of the cookies have deflated. Repeat the panbanging every 2 minutes until the cookies have baked for a total of 5-18 minutes. 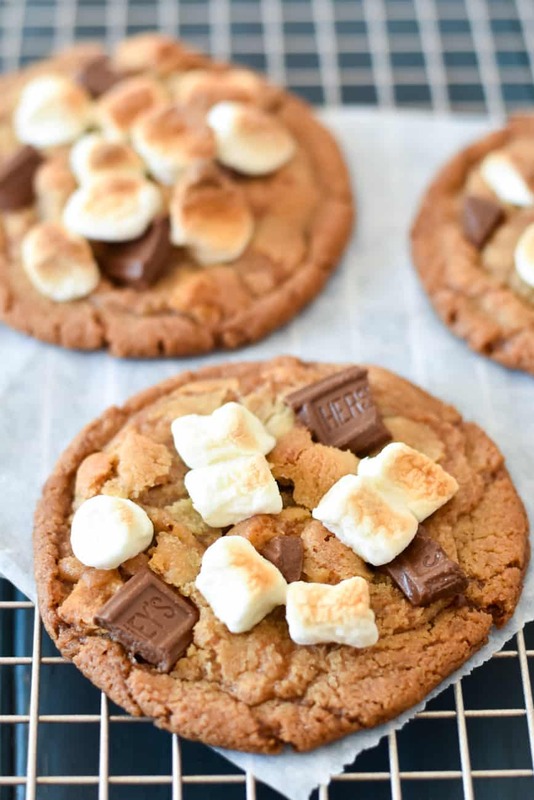 Remove from the oven and immediately sprinkle with mini marshmallows. Broil for 1-2 minutes until the marshmallows are toasted. 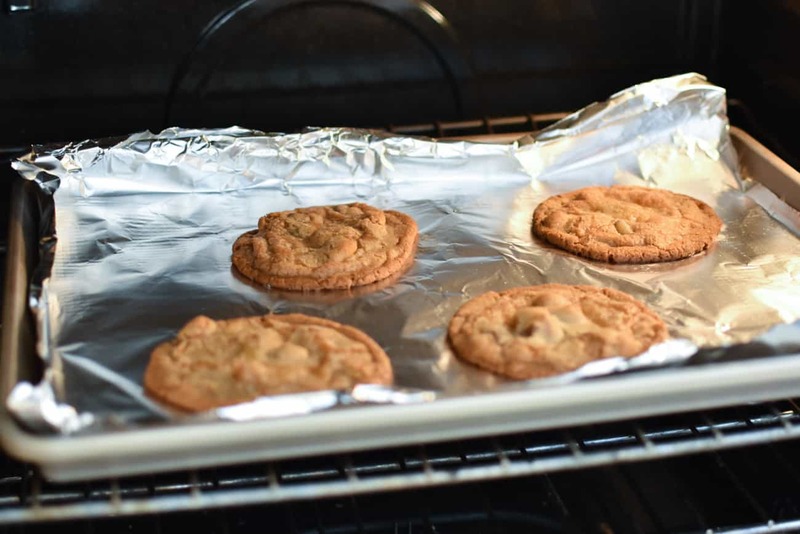 Let the baking sheet cool completely on a wire rack before taking off the cookie sheet. 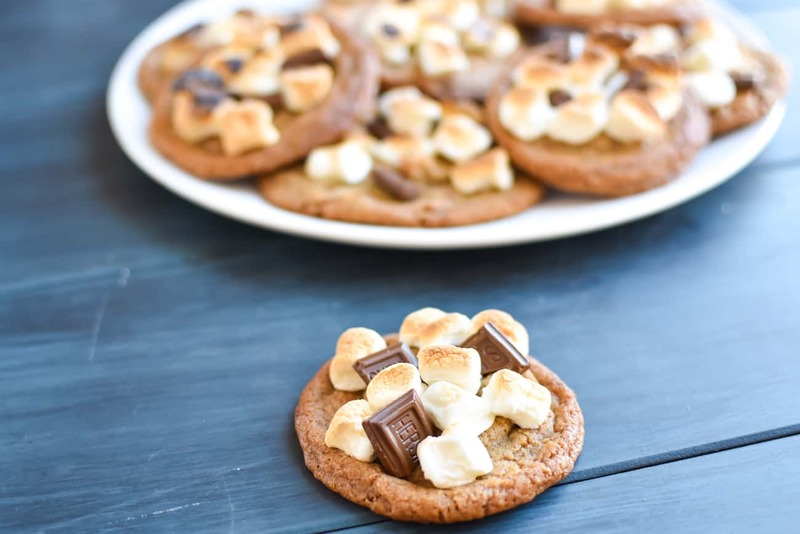 Recipe for s'mores brown butter panbanging cookies. It's a mouthful of a name but you're going to want every single part of them. The s'mores. The brown butter. The panbanging. If you haven't heard of it, you're going to know all about panbanging by the time you're done reading this! Preheat your oven to 350 degrees and line at least one sheet pan with foil, dull side up. 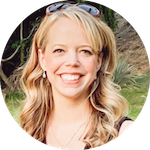 I'm not the only one with a delicious cookie recipe to help raise money for Cookies for Kids' Cancer. Help support the cause by visiting all these other sites sharing delicious recipes in hopes of raising money today! These look so delicious! Happy to be a part of this great fundraiser with you Marybeth! This made me laugh. When you live at 7,000 feet like I do, you have to adjust cookie recipes or all cookies look panbanged. I had no idea that this was a thing and that people do it on purpose! I tried this recipe and sure enough, no panbanging was necessary to get the panbanged results. They were tasty. Thanks for the recipe! !